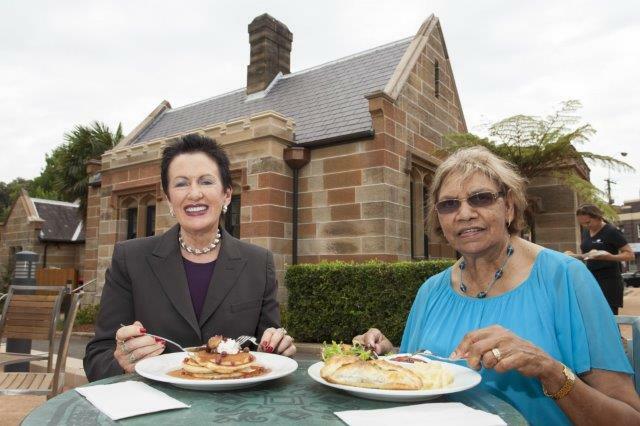 Sydney Lord Mayor Clover Moore with Aunty Beryl Van-Oploo, who runs Gardener’s Lodge Cafe. A new procurement paradigm is changing the way the federal government does business and Australia’s local councils look set to follow the Commonwealth’s lead. Since June 2015, federal government departments and agencies have had a purchasing target of 0.5 per cent of domestic government contracts to go to small and medium Indigenous companies in 2015-16, rising to 3 per cent by 2019-20. Contracts may be directly with Indigenous enterprises, subcontracts or joint ventures. Although there are no targets set for local (or state) government, many local councils have proactively increased their Indigenous procurement spend, some of them through their Reconciliation Action Plans. City of Sydney Council has a well-developed approach to Indigenous procurement. 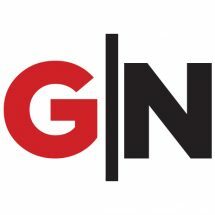 The council won an award for engaging with and mentoring Indigenous businesses last year and was a founder member of Indigenous business certifier Supply Nation. The City’s Procurement Manager, Ian Rudgley, became an indigenous procurement champion after attending aboriginal cultural awareness training. Mr Rudgley said he learned to work within some of the restrictive local government procurement rules and to mentor and support Indigenous businesses. These days City of Sydney deals with around 20 Indigenous companies certified by Supply Nation in areas including design, catering, legal advice and stationary supplies. “I think each organisation needs to be committed. We certainly are at the city,” said Mr Rudgley. “Our executive, councillors and the CEO are all committed to it. It is part of my performance plan targets to get Aboriginal companies on board. Sometimes you need to drive support processes that work for both sides. For instance, if you hire consultants mention you are looking for indigenous businesses or ask how many Indigenous workers they have and what training they offer. Having recommended targets is also helpful, “if you want to do it seriously” suggested Mr Rudgley. He is, however, unwilling to back compulsory targets. It is vital to make other council staff aware of your council’s Indigenous procurement strategy and useful to compile a catalogue of the Indigenous companies you have worked well with. Mr Rudgley also suggested mitigating the risk of using a new supplier by having smaller contracts with multiple suppliers. One of the City’s Indigenous contracts is with a hospitality training company that runs Gardener’s Lodge Cafe in Victoria Park. The company trains Indigenous catering staff and serves up bush foods like warrigal greens, lemon myrtle, quondong and munthari berries, as well as doing some of the council’s catering. “I see these young Aboriginal kids coming in and I see their enthusiasm. I think it’s brilliant,” Mr Rudgley said. A small grammatical point …Aboriginal should always be capped when referring to Australian Aborigines (as opposed to aboriginal for indigenous peoples of other countries). Good point. I’ve made the necessary changes. Cheers, Marie. If all local councils follow your lead we will see a significant impact on the growth of Indigenous Businesses in local communities across NSW. Thank you for your positive actions to promote engagement of Indigenous Businesses in the Supply Chains of Local Council and Local Business. We would like to propose following City of Syd’s example in Aboriginal procurement policy at Waverley Council…. and We Appreciate how CoSyd’s naming the Invasion was applauded at the Redfern Treaty Talk last night Monday14March2016….